a&o Salzburg Hauptbahnhof v Salzburk, Austria: Zarezervujte nyní! 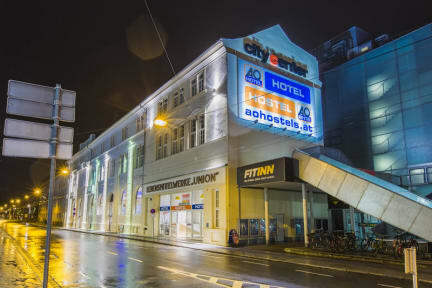 With its modern and functional rooms the a&o Salzburg Hauptbahnhof is located only 500 m from the central station. Vibrant, cosmopolitan, international – that’s what a&o stands for. In our hotels the world comes together and our young and friendly staff is 365 days a year 24 hours there for you, to ensure an enjoyable stay and peaceful nights. Also the lobby bar offers drinks and snacks during day and night. The Salzburger Mozartkugel café is far from Salzburg’s only attraction – there is a reason the city boasts world cultural heritage town status; be it the Hohensalzburg Castle accessed via a funicular and offering a fantastic view over Salzburg, or Getreidegasse, home to Mozart's Birthplace, there is something for everyone here. The a&o Hostel Salzburg Hauptbahnhof is located close to the main train station, making it an ideal base for exploring Salzburg's Old Town, with its romantic narrow streets.